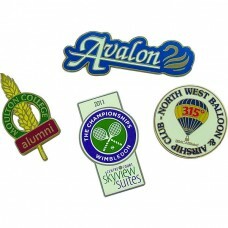 The Premium Quality Promotional Hard Enamel Pin Badges are one of the very best quality promotional badges on the market. It is a top quality, hard wearing pin badge, finished to a flat, even surface and is ideal for high profile promotions and award schemes due to its high perceived value. Pantone matched colours and a choice of platings are available with an optional overprint for small detail. Dimensions: 22mm x 22mm. Print area all over: 21mm x 21mm.